Jon Stewart schools the nitwit liars, Newt Gingrich, Sarah Palin, and Sean Hannity on America's new nuclear policy. Do these people have NO conscience? Nah. The GOP bears no responsibility for ginning up the hate in this country. Not at all. I think the Democratic leadership has to take some moral responsibility for having behaved with such arrogance, in such a hostile way, that the American people are deeply upset. So let’s be honest with this. This is a game that they’re playing. People should not engage in personal threats. I’m happy to condemn any effort to engage in personal threats. But I think the Democratic leadership has to take some real responsibility for having run a machine that used corrupt tactics, that bought votes, that bullied people, and as a result has enraged much of the American people. And I think it’d be nice for President Obama, Speaker Pelosi, and Majority Leader Reid to take some responsibility over what their actions have done to this country. Time to call these people what they are, and to that end, I am adding a new category; Domestic Terrorism. 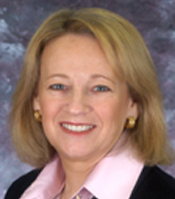 :: Obama expected to name Mary Schapiro as the SEC chairman tomorrow. Schapiro is currently the CEO of the Financial Industry Regulatory Authority. Politically, she is an Independent. “If confirmed by the U.S. Senate, Schapiro will take over an agency whose reputation has been tarnished by its failure to detect Bernard Madoff’s alleged $50 billion fraud and to prevent the collapse of investment banks Bear Stearns Cos. and Lehman Brothers Holdings Inc. The SEC’s relevance and competence will be scrutinized as Congress weighs overhauling market regulation. :: Bush to put 110,000 acres of wild lands in Utah on the auction block, to be sold to the highest bidders in the oil and gas industry. Robert Redford is making an appeal to the public to stand up and be counted. To deny Bush this last effort to enrich his friends, and save this land for future generations. “You can't put a price on silence or solitude. You can't quantify the beauty of wilderness. And yet that's not going to stop the Bush administration from trying to sell off what should be the birthright of future generations. In three days, this Friday, 110,000 acres of majestic Utah wild lands go on the auction block, to be sold to the highest bidders in the oil and gas industry. It's a last-ditch effort by a corrupt administration to further enrich its friends in the dirty fuels business. If they succeed, they'll leave a wasteland behind them. 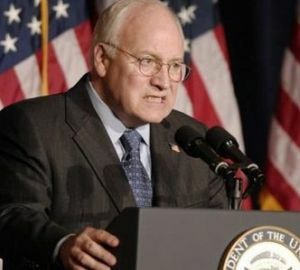 :: Calls for Cheney to be prosecuted gaining ground after he confessed to the authorization of waterboarding on Monday. According to international law, waterboarding is defined as a form of torture, and it is illegal. Cheney's admittance to the authorization of waterboarding during his interview with Jonathan Earl on ABC News on Monday, has put him ever more at risk of prosecution as a war criminal. Indeed, he will not be able to leave the country without the risk of being arrested as a war criminal. 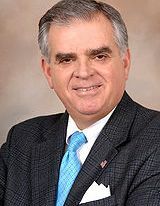 :: Republican Roy LaHood reported to be Obama's choice for transportation secretary. According to the Chicago Tribune, Peoria, Illinois congressman Ray LaHood, who is a moderate Republican with an excellent rep on Capitol Hill, has been asked to take a cabinet position in the Obama administration. “LaHood, a long-time staff aide to the affable then-House Minority Leader Bob Michel (R-Ill.) who took his boss's seat when Michel retired, was elected along with a tide of Republicans led by Newt Gingrich. But he did not follow the same highly partisan path that characterized the class elected with him. :: Liz Moynihan endorses Caroline Kennedy. :: TIME names Obama "Person of the Year". :: Tom Vilsack will be Obama's nominee for Secretary of Agriculture, and Ken Salazar the nominee for Secretary of the Interior. “Mr. 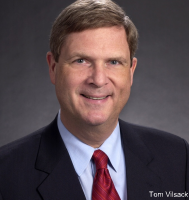 Vilsack, who has spent the fall semester as a political fellow at the Kennedy School of Government at Harvard University, works as a lawyer in Des Moines. Four years ago, he was among those who were considered to be a running mate for Senator John Kerry. 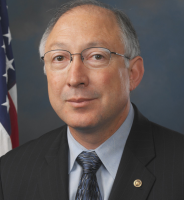 He was not on the short list of candidates to join Mr. Obama’s ticket this year, but agreed to join the Obama-Biden cabinet as Agriculture Secretary. In an outreach heretofore unseen from an incoming president, Obama is reaching out to GOP members of the House and Senate with personal phone calls. ““It appears to me that he has made a very genuine and aggressive attempt to reach out,” said Sen. Judd Gregg (N.H.), ranking Republican on the Senate Budget Committee, who received what he described as “a very nice courtesy call” from Obama. Rep. Pete King (N.Y.), the top Republican on the House Homeland Security Committee, said that Obama’s earliest calls to Republicans with power over economic and security issues shed light on his priorities for the 111th Congress. :: The Republican revolt against the RNC's attempts to falsely tie Obama to the Blagojevich scandal continues. 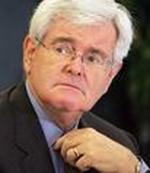 In the IPD daily summary yesterday, we told you that former Speaker of the House, Newt Gingrich, had ripped in to RNC chairman, Mike Duncan, for his blatant attempts to tie Obama to the disgraced governor. Today, more Republican voices have joined with Gingrich in their condemnation of the RNC tactic. A wise, self-preservational move if you look at the poll numbers detailed in an article from the Washington Post. “Calling the video a "destructive distraction," Gingrich added: "This ad is a terrible signal to be sending about both the goals of the Republican Party in the midst of the nation's troubled economic times and about whether we have actually learned anything from the defeats of 2006 and 2008." "It's fair to say that any residual connections Obama may have with Gov. Blagojevich as a result of being an Illinois Senator are not the strongest part of our argument. I can understand the desire to go at Obama. But with Obama at 76% approval for the transition, our hits against him have to be clean hits, or they will blow up in our face." The sentiments expressed publicly by Gingrich and Ruffini are echoed privately by a number of Republican strategists who view the attempts to link Blagojevich and Obama as nothing more than a fool's errand given the lack of evidence that the public sees any real connection between the two men. As we wrote earlier this week, the strategy adopted by the RNC poses a real risk to the party because of Obama's strength and Republicans' weakness in the eyes of voters. A new Washington Post/ABC News poll more than three in four voters approve of the way Obama has handled the transition and a majority (51 percent) of of independents said he had done enough to explain any conversations his aides had with Blagojevich. So, what should Republicans do -- given that they are out of power at the executive and legislative level? Gingrich boils it down to a single sentence: "Republicans should be eager to work with [Obama] when he is right, and, when he is wrong, offer a better solution, instead of just opposing him." Ruffini is more expansive -- offering three solutions, the savviest of which is to push the idea that Democrats are seeking to rob voters of a say in Illinois by refusing to pass legislation that would create a special election to fill Obama's Senate seat.